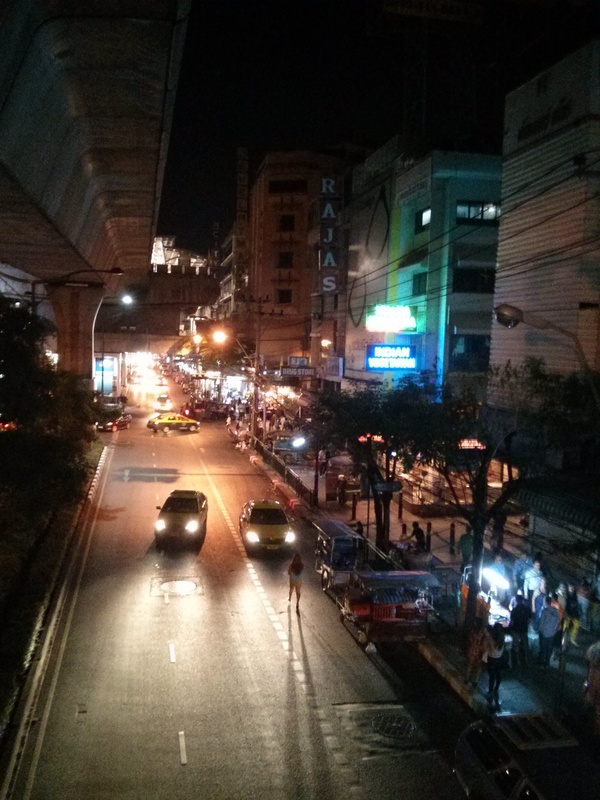 Following a hefty dose of jetlag, I decided it would a good idea to educate Westerners on how to use taxis in Bangkok. Not tuktuk, that’s a whole other ball game, just plain old taxi saloon cars. I am a Londoner who grew up in the Westcountry of England, and have successfully used a combination of Black Cabs, taxis on ranks on the streets, and private cabs. In the Westcountry taxis are generally very expensive so they are a rare but necessary treat as the local bus services are often atrocious, in London I use cabs only when all other public transport options have been exhausted, or if I am in the company of those who prefer not to travel with the masses. Bangkok is big and incredibly busy, I mean seriously mind bogglingly big and busy like you will never see in Europe, if you think London and it’s great buildings is big and busy, you are in for a bit of a shock. On our trip regular metered taxis come in three distinctive colourways; yellow and green, red, and my personal favourite dark pink. Flagging down a taxi is easy, its the next bit that gets hard. Never ever assume that a taxi driver knows where they are going, unless it is one of the airports, or one of the very well known tourist destinations like the Khaosan Road, the Grand Palace or one of the two airports. A driver will say they know exactly where you mean to get you in the cab, so be prepared with maps , addresses, district names. If possible get maps of the area cached in advance on Google Maps to track you (my Nexus 4 phone allows me to do this without roaming charges whilst in airplane mode). We also discovered, quite to our surprise, that some drivers are unable to read a map either, so stay alert and keep your eyes out for signs. Thankfully most in the city are in English and Thai. As mentioned before Bangkok is enormous, there are thousands and thousands of taxi drivers vying for a fare. Almost every street has a Thai name and a Western name, and chances are your pronunciation of either is going to sound unfamiliar. There are also many districts that sound similar, so make sure you have the pronunciation right or you’ll end up somewhere completely different! Be patient with your driver because even when it comes to the biggest hotels, chances are your taxi driver has never been to it before and it is unlikely they will ever do so again! If you get the hotel concierge or front desk to hail you a cab for a jaunt into town, be aware that you could end up paying three times the regular price. Same goes for negotiating with a cabby parked outside of big hotels, they are there for big fares and won’t budge on over-inflated prices. The word “Meter” is universally understood, so make sure the driver agrees before you get in the cab and make sure that it is turned on. Toll Roads. Oh yes, these will be anywhere from 25 to 50 baht a pop and you will need cash ready to hand to the driver. Seatbelts. Seatbelts are for show. Now and then you will get one where the seat belt catch is there for use, chances are you won’t. Hold on tight! Be adamant about your destination. One taxi driver, interested in the fact we were tourists from London decided to ignore our request to take us to a private pier rather than a public one. It just so happened his friend owns boats and was offering trips up the river for 33 times the price of local ferry tickets. When we declined we had to deal with the friend and the taxi driver trying to cajole us into taking another taxi ride or cheaper (yet still massively overpriced) trips up the river. Ten minutes walk later we found the public pier and had a fine journey up the river. Learn the lingo, or cheat. There are a multitude of apps out there. I found Thai Lite on Android was great for directions, as the app will speak the Thai for you. Helpful if you are on one of the six lane freeways that run through the city and your driver decides to have a bit of a panic! Last but not least be polite and laugh it goes a long way.